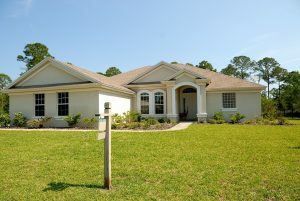 The housing market is one that is constantly changing, going through ups and downs, trends, and evolution. Any time you decide to sell or buy a home, you are basically jumping on a ride which means you need to expect some surprises along the way. If you are preparing to list your home on the market, it’s quite normal to have a set of expectations of how you think things will go. In many cases though, your expectations won’t always match with reality. Here we’ll take a closer look at what you can expect when you list your house for sale, and just how you can stay realistic, and positive, throughout the experience. It’s very common for people to assume that the moment they list their house for sale, it will sell that first day, but that just isn’t always the case. What this means is that it can be the first dose of reality for homeowners. Taking a more realistic approach in how long it will take your house to sell can help you to stay positive and take a proactive approach. Another way to stay realistic and ensure the process is as smooth as possible is to set your emotions aside. Obviously, you have all kinds of memories tied to your home, and you see it in a certain way. When potential buyers are walking through your home, none of those memories are tied to their experience, and therefore they may see your home in a very different light. It’s important you take the emotion out of the selling process and not take anything too personally. Approach it as a business transaction and nothing more. It’s also a good idea to do some reading and research on current market trends in your area before you even list your house. This can help you to identify the type of buyer you’ll be appealing to, what buyers are looking for, pricing, etc. This information can be used to then make sure your house is in tip-top shape and would appeal to the buyers in your area. Maybe there are a couple of small/big projects you could do that would help boost its appeal. Another thing that can sometimes surprise homeowners is the fact that once they list their house, often it stops feeling like their own anymore. You’ll need to keep things tidy at all times, clutter will have been removed, and you’ll have agents and potential buyers walking through your home. This is just part of the process and can even make it easier for you to start to let go of your current home and look ahead to your next house.